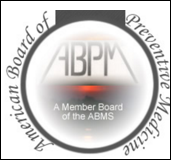 The American Board of Preventive Medicine announced the retirement William Greaves, MD, who has been its executive director since 2012. Greaves helped guide the Board’s inclusion of the Clinical Informatics subspecialty. Benson Munger, PhD will serve as interim executive director. Munger was deeply involved in the creation of the AMIA Clinical Informatics Board Review Course and the informatics community is enthusiastic about his role as the ABPM begins its search for a permanent executive director. Speaking of physicians considering retirement, Massachusetts General Hospital has a 100-year-old physician who is still coming into work after 65 years. Dr. Walter Guralnick spends his time teaching residents rather than seeing patients. With a strong belief in equal access for all, Guralnick led the charge for dental insurance and founded what became Delta Dental. ONC has released the updated Certified Health IT Products List. In addition to the list of products on the “nice” list, there are now two pages for products that are no longer certified and developers who are blocked from certifying health IT products. The “developer ban” page is blank and the “decertified products” page has a lot of 2015 edition software, so it’s hard to know what you’re really looking at. Lots of reader mail this week. From Daredevil: “Re: E&M coding. My hospital made an interesting choice to bill facility charges but no professional fees in its busy (hospital-owned) pediatric urgent care. As such, the providers were not burdened with counting elements in their documentation. We could simply document items required for clinical care and/or general risk management. This made it easier to focus on managing the patient, especially during high-volume times. The providers were compensated based on covered hours and procedures performed. The providers were eventually incentivized for throughput and had plenty of opportunities to work extra hours at a reasonable rate, so things seemed generally equitable. I would love to see E&M billing go away. The surgeons have it right with global billing. Their notes — at least in the hospital setting and for post-op visits — while seemingly sparse, stick to the facts. There is no endless scrolling to see what they are thinking.” This flat-fee approach is similar to what many cash practices do and what my urgent care does for self-pay patients. It’s not hugely profitable, but it keeps the lights on and allows the staff to deliver valuable and often much-needed care. It’s an interesting approach and I will be interested to see what some of my local colleagues think. From End of Shift: “Re: complexity of the patients at the end of a shift. I found more than once that the last patient on a Sunday evening was the most perplexing or complex for the day. The tendency to want to expedite that patient who made it in right before the doors locked was also met was often met with the reality that this patient / family was the one who was home all day debating whether their concerns warranted a visit to the urgent care. I saw more than a few who needed a trip to the emergency department. It doesn’t seem to matter which setting we are practicing medicine in these days, but there seems to be constant pressure to do more in less time. I think we would all be better clinicians with better outcomes if we had the chance to slow things down a bit.” Thinking about patients debating whether their condition is significant enough for a visit certainly puts a different spin on things. We’re also seeing patients holding off on care due to rising copays. Last year, most urgent care copays were at $50 but we’re seeing a lot this year that are $75 and $100, which means their ED copays are probably $150 or $200. The price point alone is going to have an impact in shifting where care is delivered, even if it doesn’t change the nature of the care required. Illinois healthcare organization Presence Health has been fined $475,000 for lack of timely breach notification. The fine centers around an incident in October 2013 where paper operating room schedules went missing from a surgery center. They didn’t notify OCR until January 2014 and the investigation showed that patients were not notified within 60 days of discovery as required. Over 800 patients were affected, so a media notification would also have been required. Details of the investigation reveal similar notification delays from breaches in 2015 and 2016. Be sure you meet the minimum qualifications listed in the job posting or explain what equivalent skills you have that make you an attractive candidate. I’ve had more than 40 people apply for a physician informaticist position who are not physicians. My client might consider a nurse or pharmacist, but these folks had literally no clinical credentials. Similarly, if the posting requires five years experience, you might squeak by if you’ve been in the field for four, but if you have never worked in the field, it’s a better idea not to apply and waste people’s time. Spell check your resume and have someone else review it for flow, consistency, and whether it makes sense. One candidate’s “summary” paragraph took up half a page and was a rambling incoherent explanation of why they appeared to job-hop every 18 months. Another’s was riddled with typos. Some include every job the applicant has had since high school, which just adds clutter. Don’t expect clients to relocate you if the posting doesn’t mention relocation assistance. I have an ambulatory client in a small Midwestern city that is looking for a full-time billing office manager. Several people have applied from across the country. Since they were good candidates, we did phone screens, hoping to hear stories about people looking for jobs because they were relocating to be close to family, move with a spouse, etc. At least two of them asked about relocation packages, which is out of character for a 10-doctor practice. Understand your audience and your potential employer. Make sure your contact information is professional. Your email address mustdrinkbeer@domain.com might have seemed like a good idea when you were in college, but it’s a terrible idea when you’re trying to be a professional adult. What’s your best employee recruiting story? Email me. In re: changing jobs for persons making over $100K– such as health care professionals. All serious professionals get a coach. . .